Lourdes School Quezon City PDO envisions a sustainable and meaningful relationship with selfless and dedicated stewards who are channels of God’s blessings, so that together, we may serve others for the integral formation of individuals toward universal brotherhood. We believe that every creature is our brother and sister in whom we see the face of God. However, there is an existence of poverty, injustice, illiteracy, abuse of environment and deterioration of moral values happening in the world today. To address these situations, we provide Education and Scholarship, Human Resource Development, Culture, Arts and Development, Livelihood and Community Development, Research Development, Infrastructure, Ecology and Environment Program and Capuchin Formation. 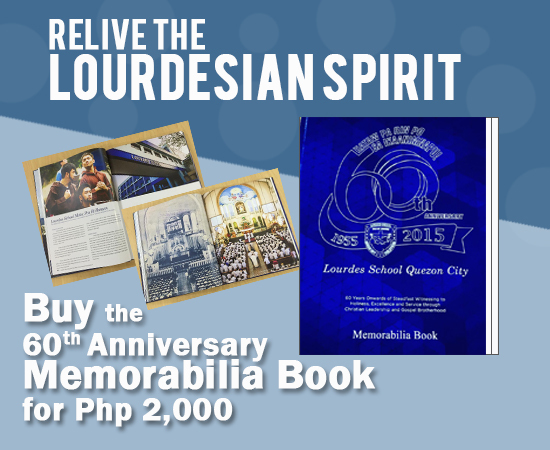 You may donate by depositing to LOURDES SCHOOL INC.